The Trump White House has seen 49 percent turnover among top staff, according to the Brookings Institution. WASHINGTON — Listing a White House gig on your resume used to be considered a sparkling credential, reflecting a stint at the apex of the country’s political power. 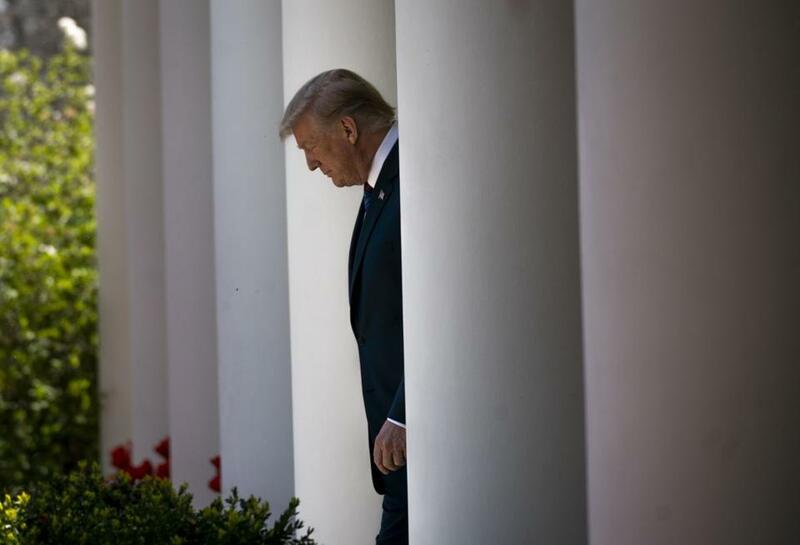 But as with so many other things about Donald Trump’s unconventional presidency, former staffers in a White House plagued by constant intrigue and controversy are finding their association with this president a bit more complicated for post-administration prospects. That’s left current and former staffers — and there are a lot of them — stuck with the advice no job-seeker wants: Adjust your expectations. The big corporations where jobs come with mid-six-figure salaries have largely avoided the top tier of former Trump staffers. One company that picked a former top Trump aide to be its chief executive tried to paper over the association, leaving the word “Trump” off the press release when announcing the hire. The Trump White House has seen 49 percent turnover among top staff, according to the Brookings Institution. The administration also had the highest first year turnover among key staff for any president since the Washington-based think tank began collecting data in 1981. Current and former staffers say there’s been a similar churn at the middle levels, leaving scores of former White House employees looking for positions. Some wonder if White House experience is more of a ball and chain than a springboard. Others at the White House are similarly weighing the pros and cons of their Trump connection, said the person, who wasn’t authorized by the new employer to speak publicly. “If they don’t, they are kind of stupid,” the person said. 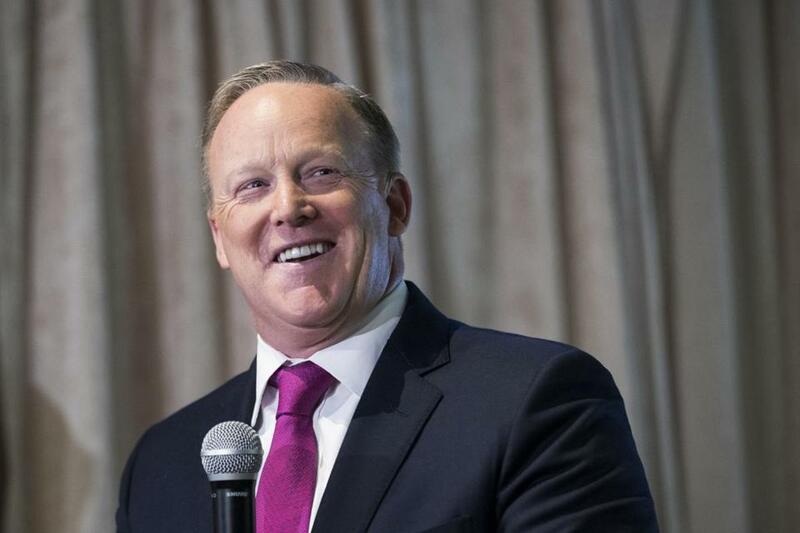 Former White House press secretary Sean Spicer has a lucrative book deal and private clients. Some of the bigger names have landed fine. Former White House chief of staff Reince Priebus returned to his previous law firm, though with a better title. Former White House press secretary Sean Spicer has a lucrative book deal and private clients. And reality TV star Omarosa Manigault-Newman is, well, still a reality TV star after stepping down from her stint as an assistant to the president. But further down in the trenches, two others still working for the administration — and one other who has departed and is still looking — said they’re all worried about how Trump will be perceived by employers on their resumes. Part of the problem, especially for the White House staffers who came from Trump’s ragtag campaign, is they don’t necessarily know how Washington works. “There are not as many people who have the experience downtown,” said a Republican with ties to Trump who runs a lobbying firm. Academics are also puzzling over where people who are leaving the administration wind up. She’s found a large number of staff members who simply returned to their previous jobs, which isn’t the transformative experience one expects from a stint at the West Wing. The group includes Michael Dubke, who briefly served as Trump’s communications director and then returned to his original firm. Or Paul Winfree who worked at the Heritage Foundation before and after his brief White House stint. The release does mention by name his tenure working for Bush. And there’s a quote from White House press secretary Sarah Huckabee Sanders, but the reader must make a few leaps to determine the name of his last boss. Sifakis didn’t respond to an e-mail seeking comment, and neither did a spokesperson for the firm. Another factor complicating life for some hoping to leave the administration is the ongoing investigation by Special Counsel Robert Mueller. It’s a headache for employers who don’t want to deal with the possibility that a new employee will end up taking the stand. Those who have found jobs lean into their previous government experience or previous connections for their next move. There is a bit of a brighter path for stars — those who can sell their insights on the president’s decision-making process. Spicer is giving paid speeches, writing a book, and has some private consulting clients. But this path, too, is fraught. The news that Trump fixer Michael Cohen sold his relationship with Trump to AT&T Inc. and Novartis AG created a massive embarrassment for both companies, and a top staffer at AT&T was pushed to retire for his role in allowing the arrangement. Gary Cohn’s name has been floated for some big jobs, including the chairman of Citigroup. 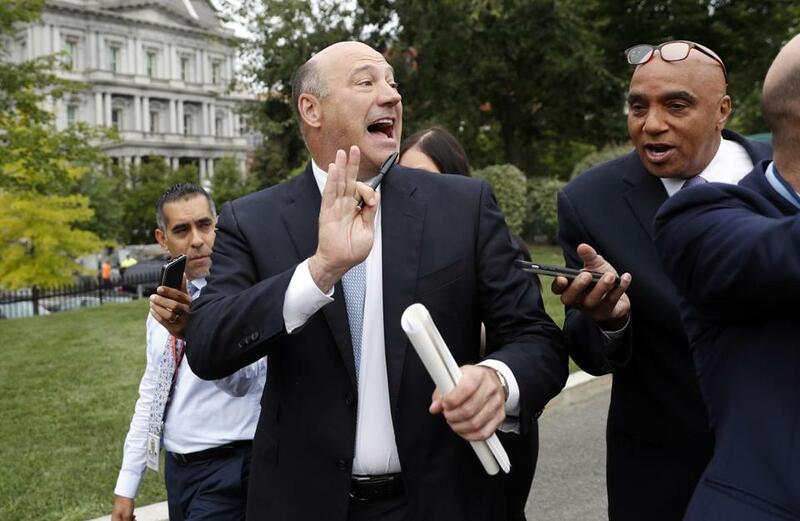 The one staffer who seems to have lots of options is Gary Cohn, who left his perch as the president of Goldman Sachs to be the director of Trump’s National Economic Council, but exited the administration in April. His name has been floated for some big jobs, including the chairman of Citigroup. CNBC, he said he’s considering joining corporate boards, working with a young company, or returning to investing.